The Revenue Mobilisation Allocation and Fiscal Commission (RMAFC) has disowned senators’ N13.5million monthly running cost. RMFAC is the body responsible for fixing public officials’ wages. “The payment of running cost is not part of RMAFC mandate. Therefore, only the National Assembly can explain it,” the RMFAC said yesterday. Spokesman Ibrahim Mohammed, in a statement in Abuja, said the law on Salaries and Allowances of Public Office Holders is very clear. He said only the management of the National Assembly Service Commission could explain the N13.5 million running cost allegedly being collected by each senator. According to Mohammed, the Remuneration Act only covers salary and allowances. He said the clarification became imperative in view of the recent revelation by Sen. Shehu Sani (Kaduna Central-APC), who was reported to have disclosed to the public that each senator collects monthly N13.5 million as running cost. 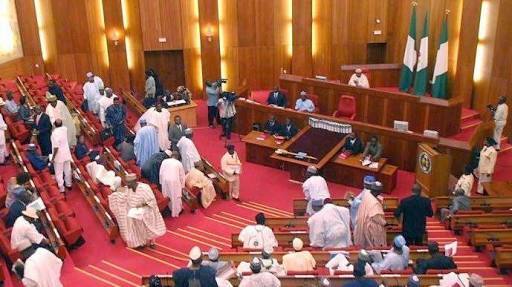 Mohammed said each senators collects N1.06 million salary and allowances, according to the News Agency of Nigeria (NAN). The figure consists of the following: Basic-N168,866, motor vehicle fueling and maintenance allowance; and N126,650, Personal Assistant N42,216. Some allowances are regular; others are non-regular, Mohammed said. “Regular allowances are paid regularly with basic salaries, while non-regular allowances are paid when due. Mohammed also said auditing did not fall within the commission’s purview. He said any other payments being enjoyed by any political or public office holder outside those provided in the Remuneration Act of 2008 were not known to the commission. He added that the Chief Accounting Officers of the agencies concerned should explain such payments. Mohammed advised that Nigerians should avoid misinformation and misrepresentation of facts capable of misleading citizens and members of the international community. He said that they could access the actual details of the remuneration package for Political, Public and Judicial Office holders in Nigeria published on its website.